Sightmark presented the Photon RT scope series as the successor of the Photon XT. The XT was and still is one of the most popular night vision scopes you can get. The RT series builds on this success. Sightmark improved the XT by upgrading the core and adding new features. All these improvements were implemented while also maintaining the simplicity of use and the durability that made the Photon XT line such a big hit! ​Check current pricing and availability on Amazon! 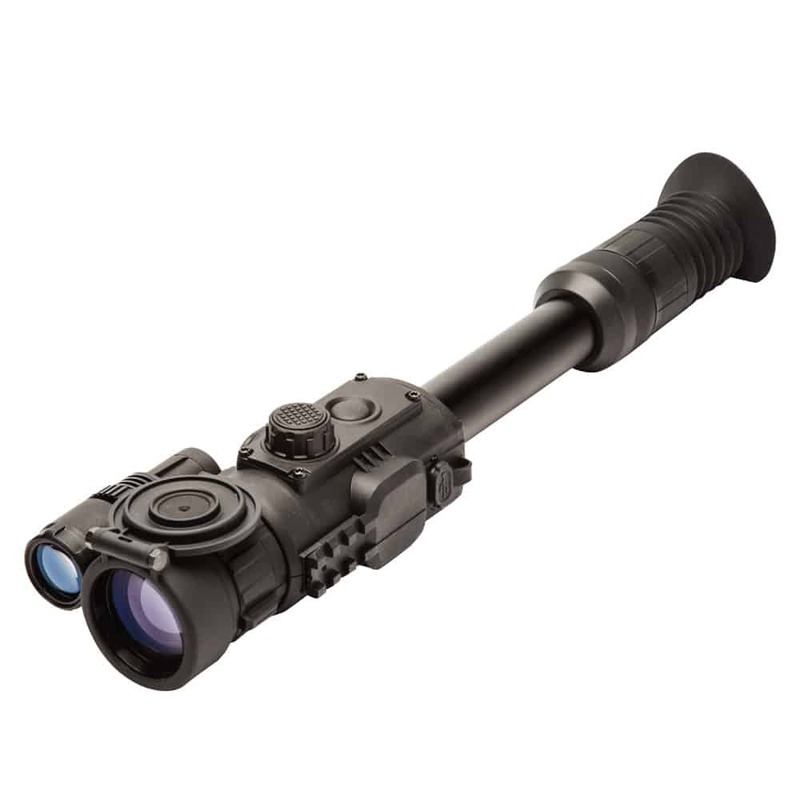 The Photon RT series of scopes is designed for both day and night use. Compared to the XT series, the RT’s provide a sensor that offers a 40% higher resolution. This provides a much clearer image which can be viewed on the LCD display that has a resolution of 640x480. The sights also offer integrated video recording. You can also records sound and you have a 2x digital zoom to improve the image. The RT series features a power input that can be used with power banks to charge the battery. The connector is microUSB to make the plug as small as possible. You can also perform remote viewing on phones and tablets through the Pulsar Stream Vision app. All sights in the series have a built-in IR illuminator. The models without a ‘S’ in their name have an invisible IR illuminator. That means there’s no more red glow when you view them directly. The scopes also provide a weaver rail on the side. This allows to attach accessories or IR lights which can increase usability, applicability and performance. 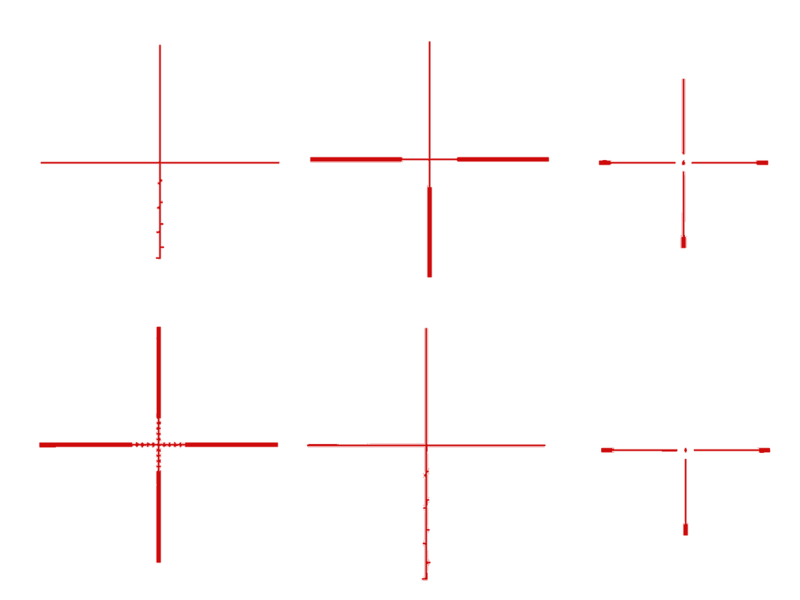 The RT series also has 6 different reticles for the hunter and shooter. No matter what you want to use any of the sights for, there will be a reticle that you can use. They are also designed to provide one-shot zeroing. The rugged design will withstand heavy recoil while holding zero. The turrets allow for easy adjustment of windage and elevation. The field of view for the Photon RT 4.5x42S is 22.5 feet @ 100 yards. The scopes come with a USB cable, spare battery container with pouch, lens cloth, user manual and carrying case. All this comes at a reasonable price making night vision optics rather affordable.